Sound City, Creamfields and Liverpool Music Week all nominated for best line-up as UK Festival Awards shortlist is revealed, Getintothis‘ Paul Higham has more details. The shortlist for the 11th edition of the UK Festival Awards has just been announced and Getintothis is delighted to report that three of our most cherished festivals, Liverpool Sound City, Creamfields and Liverpool Music Week all feature prominently in the lists. Most notably, all three festivals have been nominated for the prestigious Best Line-Up Of The Year award, a category shortlisted by a panel of industry experts. This is remarkable and, dare we say it, unprecedented for a single city or region. Not even London comes close. Sound City featured acts as diverse as Jon Hopkins, Gruff Rhys and Clean Bandit. 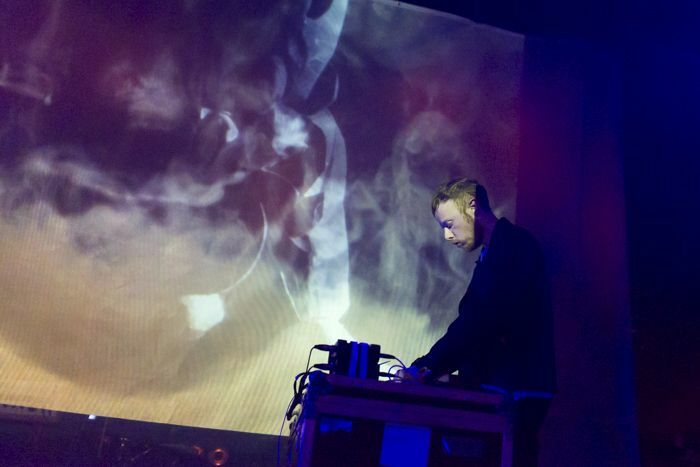 Liverpool Music Week played host to, among others, Mogwai, Wild Beasts and Hookworms. Creamfields had deadmau5 and Calvin Harris headlining. Such recognition reasserts Liverpool‘s claim to be the country’s undisputed capital for live music, with Liverpool Music Week director, Mike Deane, commenting, “We are thrilled that our work for this year’s 10th edition has been recognised by being shortlisted for Best Line-Up of the Year. Of the three, Creamfields received the most nominations including Best Dance Event, Best Toilets, Best Use of Technology (for its Youtube stream covering every stage of the festival) and, where it will be up against the likes of Glastonbury and Reading and Leeds, Best Major Festival. Creamfields promoter Scott Barton is also nominated in the Promoter of the Year category. A spokesman at Creamfields, said: “We are thrilled to be shortlisted in six categories at this year’s UK Festival Awards and it highlights how far we have come over the past 17 years. Sound City, in many ways establishing the blueprint for metropolitan music festivals and having just announced plans to move, in 2015, to a singe site, has been rewarded with a nomination in that category along with a further nomination in the Best Use of New Technology category for its groundbreaking iOS-integrated scheduling system. The winners will be announced in a ceremony at the Roundhouse in London on 1 December.